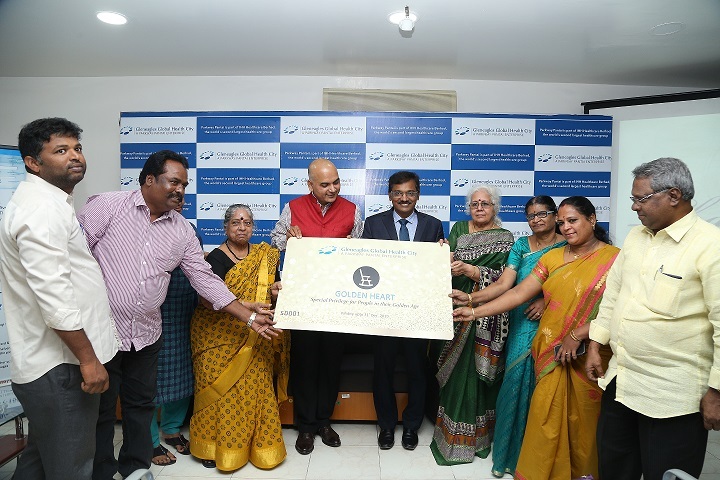 Gleneagles Global Health City, the largest facility of Gleneagles Global Hospitals, a Parkway Pantai enterprise, today launched the neighbourhood privileges program which will provide highest level of care to people with all kinds of ailments. The initiative is spearheaded by Mr Madhur Varma, COO (SOUTH), India Operations Division Parkway Pantai and his team. Speaking at the Launch Mr Madhur Varma said “As we are the flagship healthcare unit of the Gleneagles Global Hospitals, which is part of Parkway Pantai, gears up to contribute to our neighbourhood community, this initiative will provide an annual opportunity for our customers and stakeholders (family members, caregiver, relatives, youth etc.) to avail the best possible services. This facility provides all the treatments under one roof with the state-of-the-art infrastructure, medical equipment’s and medical professionals with unparalleled expertise in all the core specialities. The facility aims to provide best possible quality of life to patients with any aliments”. 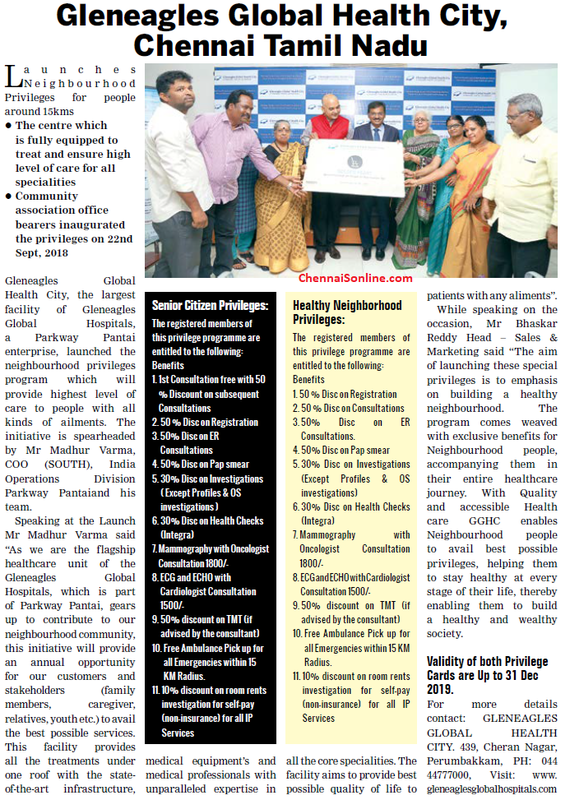 While speaking on the occasion, Mr Bhaskar Reddy Head – Sales & Marketing said “The aim of launching these special privileges is to emphasis on building a healthy neighbourhood. The program comes weaved with exclusive benefits for Neighbourhood people, accompanying them in their entire healthcare journey. With Quality and accessible Health care GGHC enables Neighbourhood people to avail best possible privileges, helping them to stay healthy at every stage of their life, thereby enabling them to build a healthy and wealthy society. 50% Disc on ER Consultations. Free Ambulance Pick up for all Emergencies within 15 KM Radius. Validity of both Privilege Cards are Up to 31 Dec 2019.